With a full range of machines, we can meet your graphic needs! We create designs, proof with you, and run production volumes from 1 to over 1000. We have a wide variety of graphic materials to stand up to the most demanding exterior conditions, as well as cost-effective graphic solutions for your weekend parties and events. 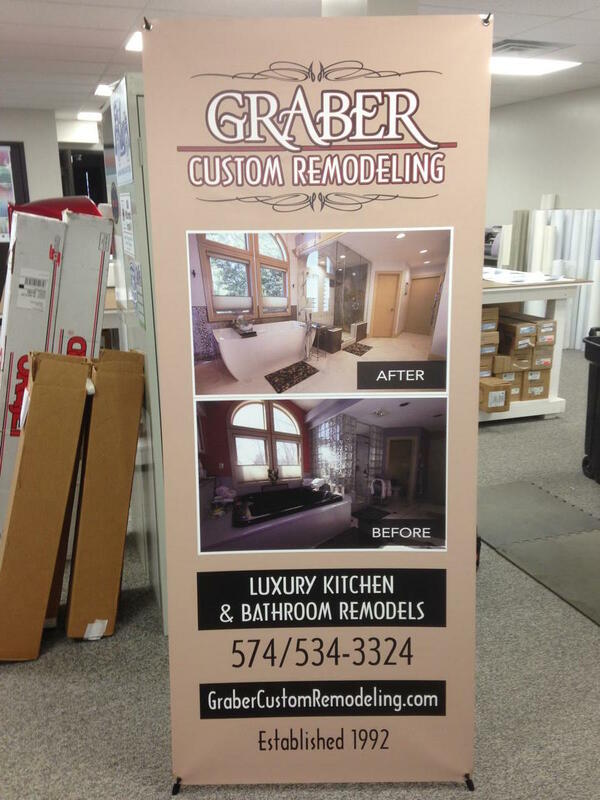 Yes, we can print banners, yard signs, trade-show stands and more. Allow us to give your business that professional edge in appearance! Whether it’s one vehicle or a fleet, we can provide the vehicle wraps, bus wrap, or van & truck wrap solutions you need. Serving healthcare, transportation, commercial and more. 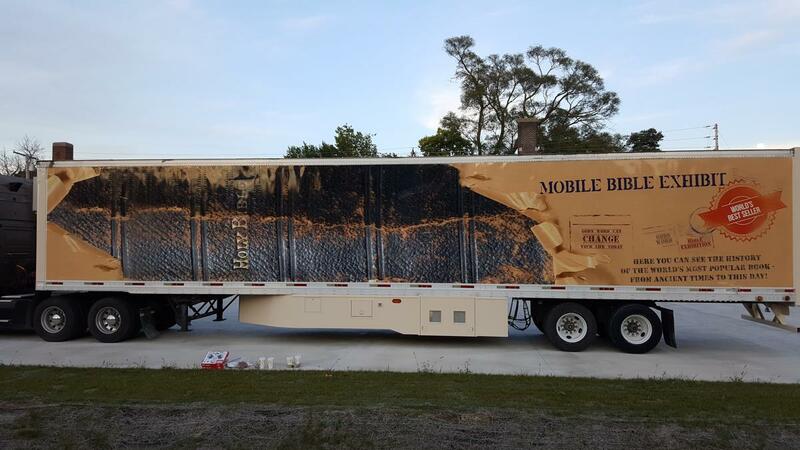 See a few of our vehicle wrap examples below. Contact us to explore your needs! You need signage solutions that meet your exact needs. Whether for bringing in customers, helping with traffic flow, interior or exterior and ADA, we can help you find the right answer for your sign needs. Offering a full-range of sign solutions and installation options, contact us to discuss your needs for updateable signs, digital signs and more. 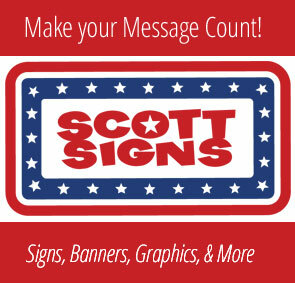 Below are a few examples of our sign solutions.